Emberall was founded in 2014 by Sam Nelson and Kyle Corbitt. As the subject of a documentary throughout his formative years, Sam realized the outsized impact of even "ordinary" stories when told in a compelling way. He contacted Kyle and together they developed the Emberall platform, to make it easy for anyone to tell, organize, and share his or her life story. Emberall helps you record, organize, store and share your life history or that of a loved one quickly. 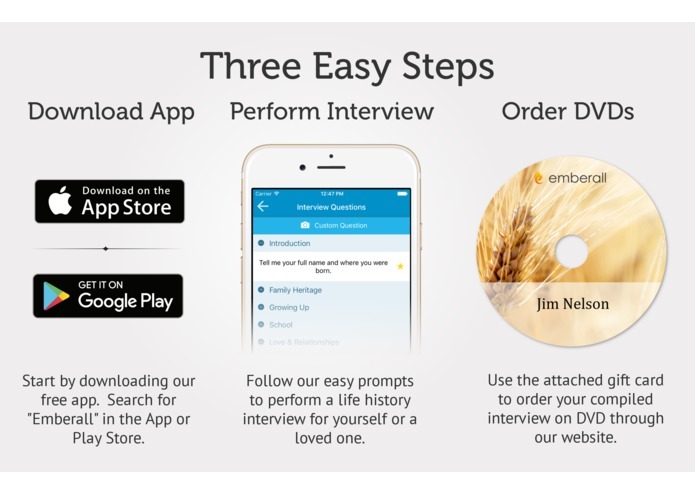 Emberall may be downloaded on any Android or iOS smartphone. 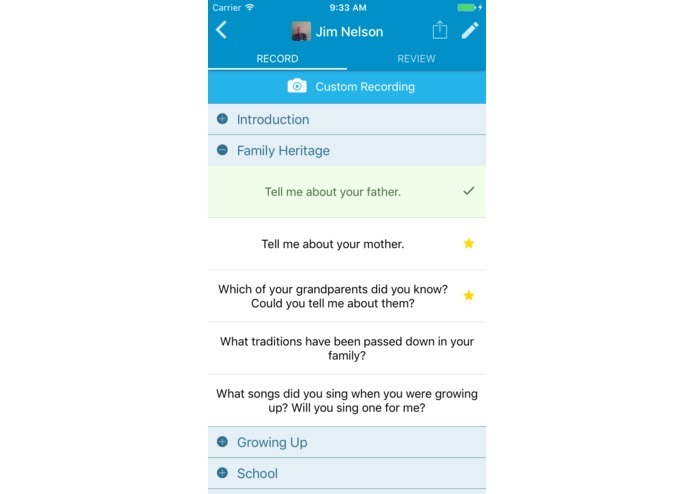 When opened, the app automatically guides you through the simple process of creating an album (“Mom’s History” for example), selecting an interview question, and recording a response. The app will then seamlessly process and upload the video to your Emberall album, freeing the memory on your phone for further recordings or other activities. You may save several hours of chips within each album. At any time you may view the album as a whole, or use the titled segmented storage for quick retrieval and playback of any particular chip either online or from your personalized DVD. Emberall automatically organizes your clips and gives you flexibility in how you allow access to your files in the cloud. You can share an entire album or portions of it with family and friends. You may also post selected clips to social media. Multiple people can log into the same account and record videos in the same album. For instance, if several cousins would like to spend a few minutes recording grandmother on their visits, they could create a common account and record videos in her album. Questions previously recorded are highlighted in green to prevent duplicate interviews. Challenges we ran into: The first release of Emberall operated as a physical kiosk. 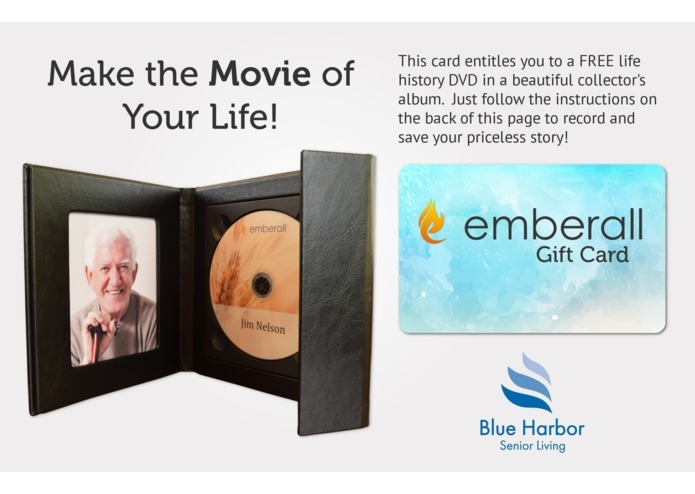 Wedding planners, funeral homes and retirement centers could rent the kiosk, make the recordings and order the DVDs. This format limited the scope of the product. 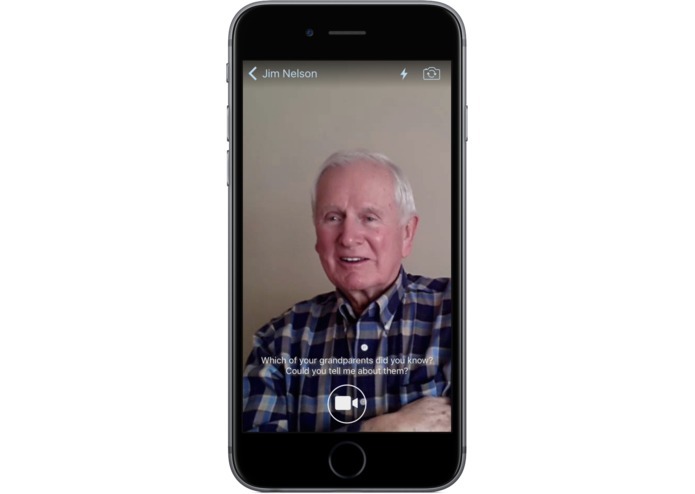 Revising Emberall to work on anyone's smartphone and allowing them access to their own files allows individuals and families flexibility in recording, easy sharing, and organized storage. 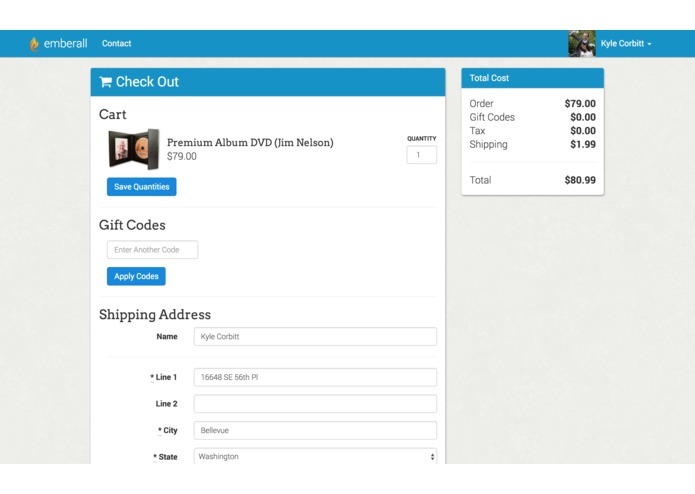 The Emberall package may be purchased online or through gift cards. Accomplishments that we're proud of: Comparable service packages for personal life history recordings from professional videographers run $1000-$3000. Through Emberall, anyone with a smartphone may make quality recordings at a fraction of the cost. 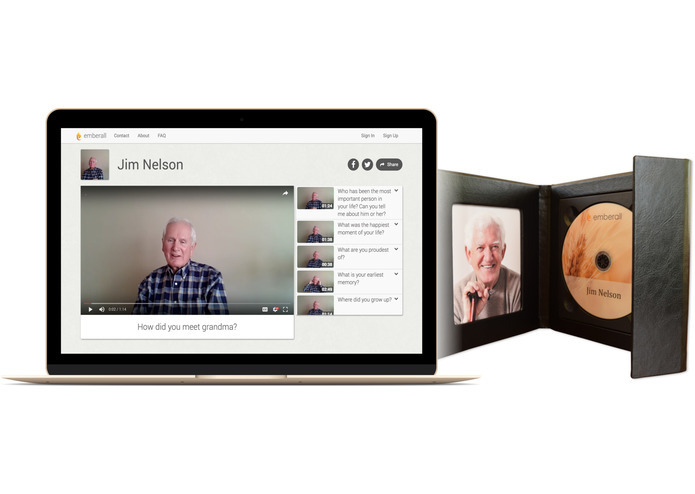 Emberall allows families to work together to create family histories that extend beyond journals and photos into organized, accessible, personal video to be treasured and shared for generations to come. What we learned: The value of Emberall recordings increases over time. The life history of a deceased loved one becomes a priceless heirloom. Of course, our goal (and sometimes our challenge) is to help people realize the value of those memories before it’s too late to capture them! What's next for Emberall: We hope to expand recognition by reaching out to retirement communities, funeral and estate planners, family history buffs and veterans’ associations. An African proverb states: "When an old man dies, a library burns to the ground." By eliminating the complexity and time intensive barriers of family history, Emberall looks to inspire people to keep their ancestral library alive.